SEO (Search Engine Optimization) is a subset of internet marketing that involves the optimization of website content (on-page optimization) and off-site content (off-page optimization) to achieve higher search rankings on search engines like Google, Bing, Yahoo and others. How does SEO relate to your business? Well, studies prove that the higher your website ranks on the search engine results page, the higher the click through rate will be to your web site. In fact, a recent study (1) shows that the top 5 results accounts for 67.60% of click thru traffic, while sites that rank #6 to #10 account for 3.73% of all click thru traffic. Basically, if you want more search traffic to your site, you need to be ranked #5 or higher on the search engine results page. 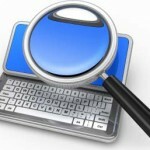 Other studies show that most consumers use online search engines to locate goods and services. This is especially true for consumers who are looking for a specific product, service or solution but don’t know who sells or provides it. This is especially important for local businesses who are competing with much larger competitors who are ranking higher. If you’re a business owner in today’s technology driven world you want to reach online users who are using online technologies to locate goods and services. You also want to make sure that your business is ranking high enough on the search engine results page so that consumers can find out about your business. This is where search engine optimization (SEO) comes into play. The most challenging aspect of SEO is that search engines do not disclose the ranking methods they use to determine search rankings for a website. This creates a huge challenge for any business that is competing with other businesses for a top ranking on the search engine results page. The SEO experts at Interactive Arts, LLC can help you gain higher rankings and more visibility on the search engine results page. We’ve been involved with SEO since 2004 and have helped dozens of companies achieve higher rankings thru search engine optimization. Some of these companies include 3M, Snap Fitness, Jostens and United Health Group. Contact Us today for a free, no obligation search marketing audit. We want you to achieve your online goals and we are driven by measured results!